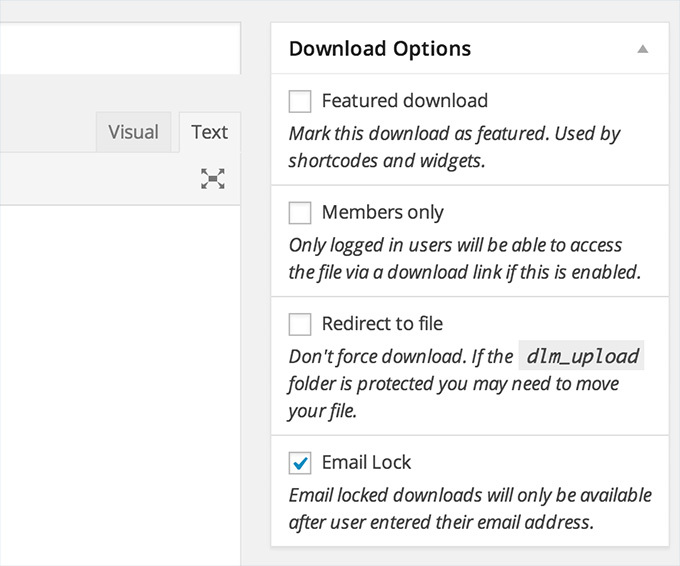 Simply open the downloads you would like to be email locked and check the email lock checkbox. Email locked downloads will be only be accessible after a valid email address is entered. The Download Lock extension uses the default [download] shortcode. 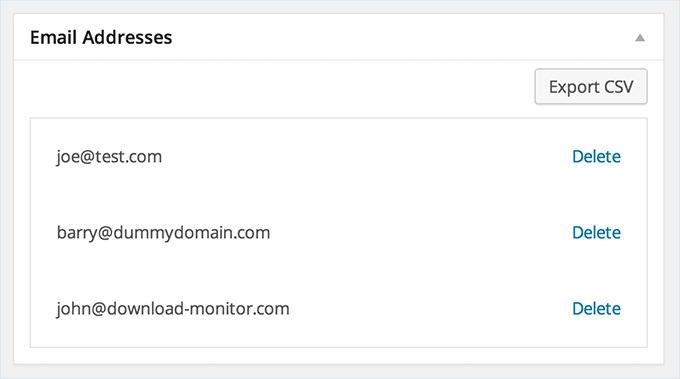 After you’ve ’email locked’ a download the frontend will automatically display the form and lock the download. 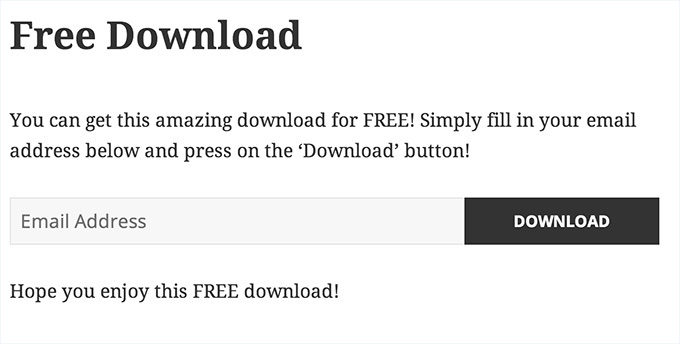 The shortcode only generates the form, giving you absolute freedom to build your own awesome download pages. All entered email addresses are attached to the download and are exportable to a csv file with a single click. 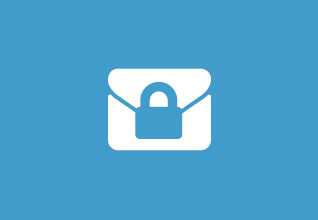 Finally, the Email Lock extension comes with an overridable template file so you can change the complete HTML structure of the form if you want to.